Lucky We Live Hawaii Keiki Collection! Moving into the New Year, we brought in our first Lucky We Live Hawaii Keiki Line! With some of our favorite LWLH logos now turned into matching Kid sets as well as a few new graphics for the young ones. 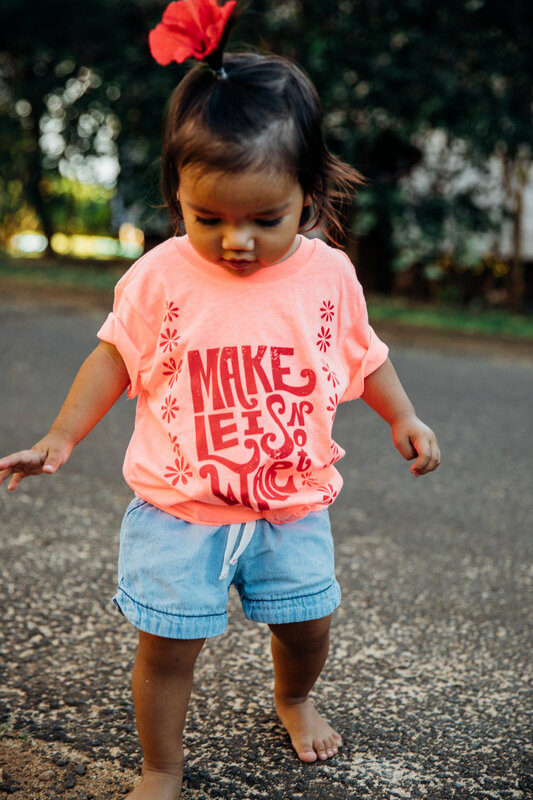 We truly do believe the "Keiki Are The Future" and we want to encourage and empower the generations to come. Check out our latest line of our new Youth graphic tee's and Infant Onesies, now all available on our online shop and at select retailers. Happy New Year! Shop the styles you seen in this blogpost down below! Click on image to shop now! Coming into 2017, we launched our latest collection with a central theme of "Aloha Always Wins." We believe that by showing our Aloha to others can change things! Which is where our inspiration for this line came from. With graphics of rainbows, peace signs and shakas, to Making Leis Not War, we want to spread our love and Aloha to everyone, where ever we go! Shop the latest collection Here! We brought back the Hawaii is Always A Good Idea tank and now in a new color! Introducing our crop tank in Indigo and Heather gray, the perfect beach cover up for any day of the week. Introducing our latest graphic tee, "Hawaii Is Always A Good Idea." The perfect quote, especially now that it is officially summer time! Comes in two different shirt styles, a crop top tank and in a flowy boxy tee. Now online! Shop Here.